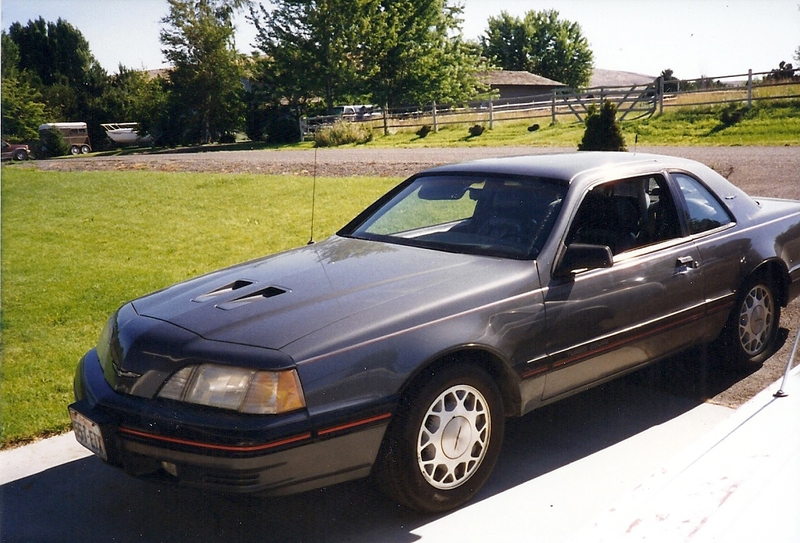 In the 1980's and 1990's I owned several Ford Thunderbirds. Mine were all for Fox chassis (1983 - 1988). My first was a 5.0L 1983 with 11k miles. It was silver and had the basic features. The 5.0L engine uses central fuel injection and Ford EEC-III fuel control system. 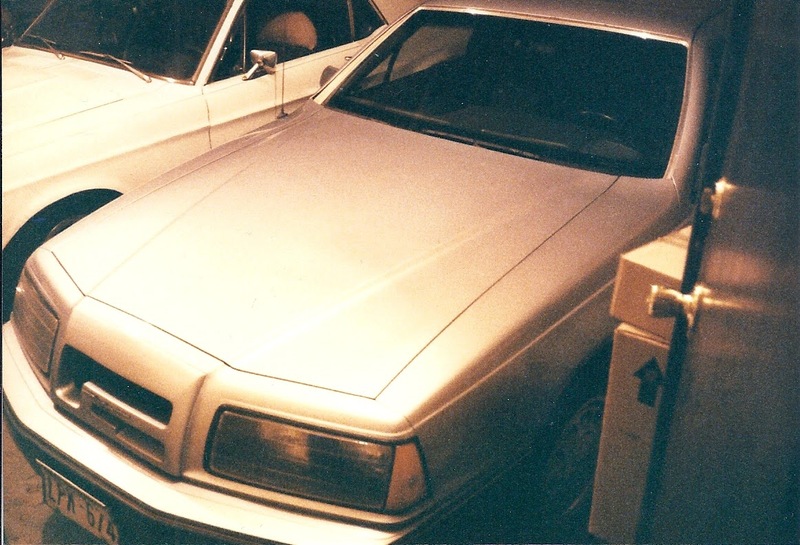 My next Thunderbird was a 1983 Turbo Coupe (VIN 1FABP46W104155354). It had the 2.3L turbo engine with a whopping 140HP. It also had a 5-speed manual transmission. That was actually good back in those days. Eventually I sold that (4/1989) and bought a 1988 Turbo Coupe in midnight blue metallic and 5-speed manual (not pictured but similar to the photo at top). That car was a factory executive car with only 14k miles. It remains one of the lowest mile cars I have owned. 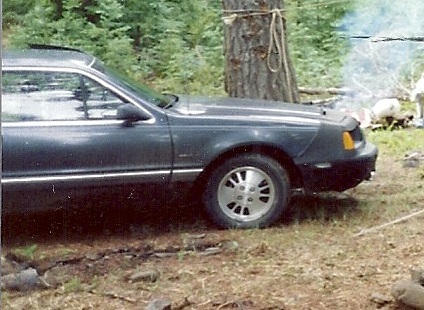 Unlike the pre-1987 Turbo Coupes, the 1988 was intercooled. I of course cranked the boost up to the limit of the fuel system (about 20psi). It was originally rated an 190HP but mine was likely well over 200HP. While that seems pathetic today back in 1988 it was not that bad. That car would easily get over 30MPG on the highway, as most of my Turbo Coupes did. I had to sell that car as I was going to college and needed to tighten the budget. I traded it in for a 1985 Turbo Coupe (VIN ) with 120k miles, a broken windshield, bad rear differential carrier bearings, and an oil consumption problem. The car smoked occasionally Knowing these cars as well as I did, I estimated my costs to correct the problems at about $1k. The oil consumption issue was just a damaged turbo oil return line (cost about $25). I got the car dirt cheap and did very well on the trade in too. 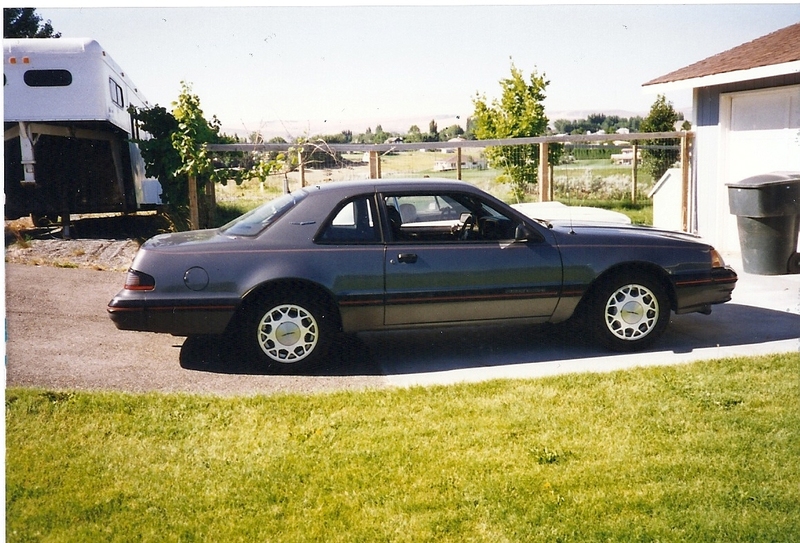 That 1985 Turbo Coupe was hit 3 times, made numerous trips to Las Vegas (from Washington) and was finally totalled in a bad accident at 177k miles which left me in a cast. However, we were paid for all the accidents, and the total, and bought the car back and resold it all for profits. I ended up making money on that car. Well over what I had paid for it and after the $1k to restore it when we bought it. We had purchased another 1988 Turbo Coupe (picture at top and below VIN 1FABP64T9JH107004) just before the 1985 was totalled. We bought it July 1992 with 68k miles on it for $6,700. It had the automatic transmission which had less boost and power than the manual transmission versions. We drove that car to about 150k miles and sold it to a friend. This was our last Thunderbird.